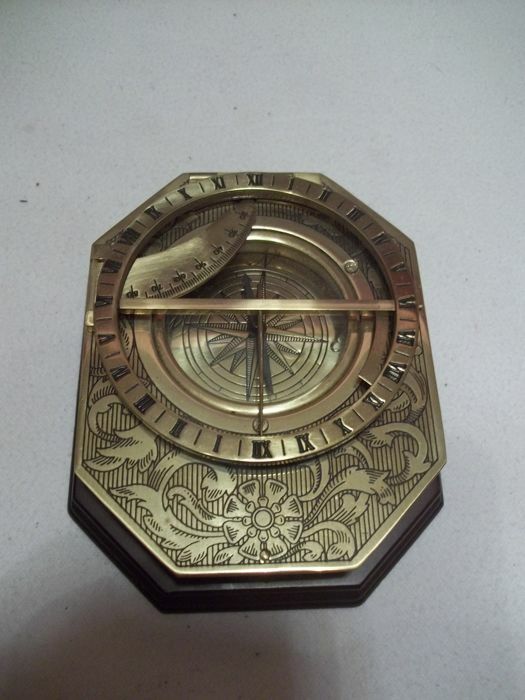 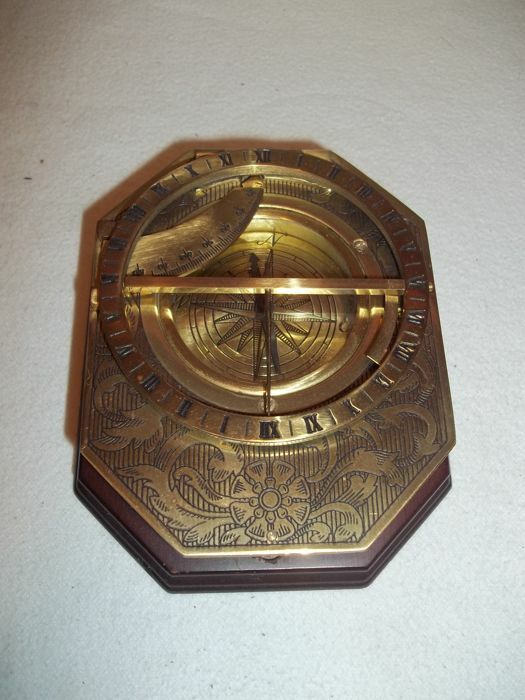 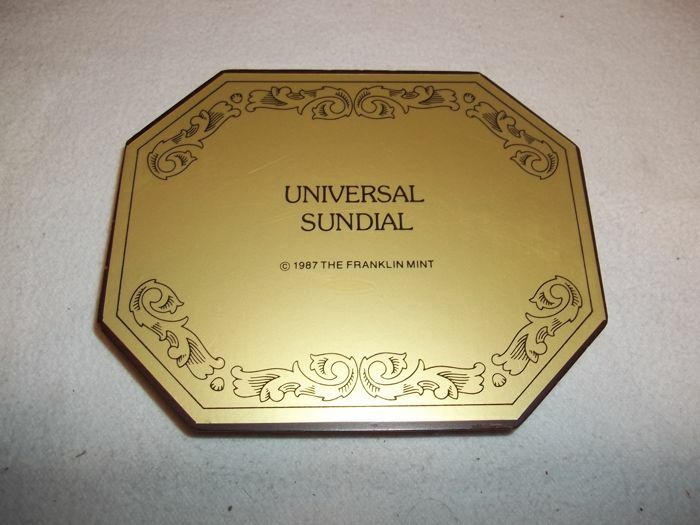 Franklin Mint - Measuring instrument "Universal Sundial" - Completely 24 carat gold plated - Very good condition. 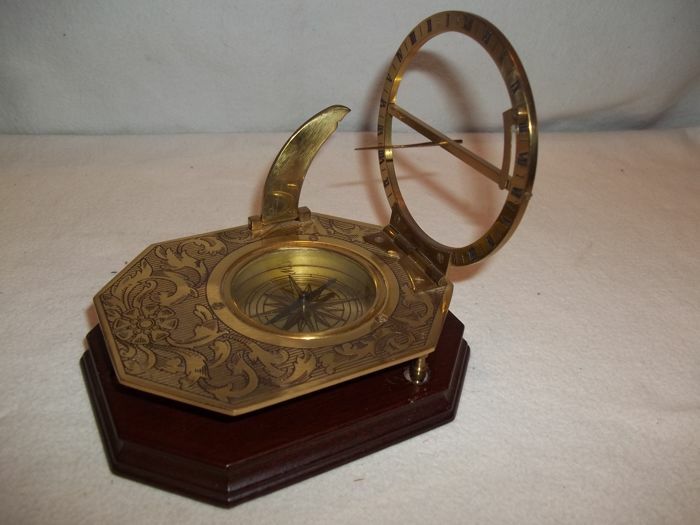 Measuring instrument "Universal Sundial " . 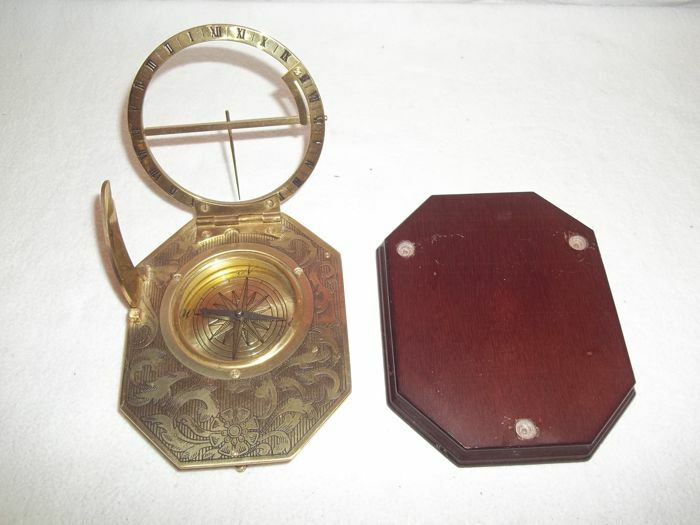 Completely 24 karat gold plated with wooden stand. 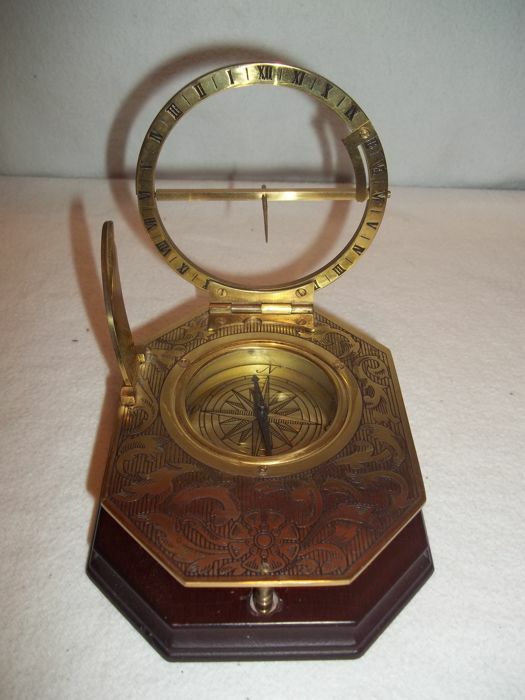 Very good condition, with a few minor scratches on the wooden pedestal and the needle is not working right. 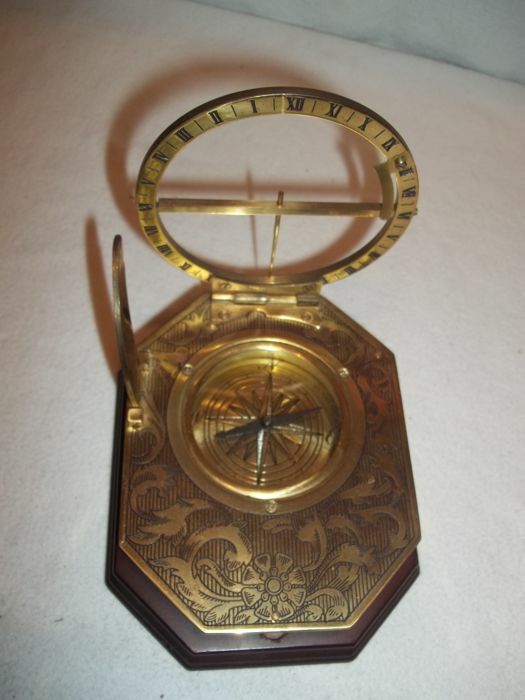 This was part of the Franklin Mint's Great instruments of Discovery Series. 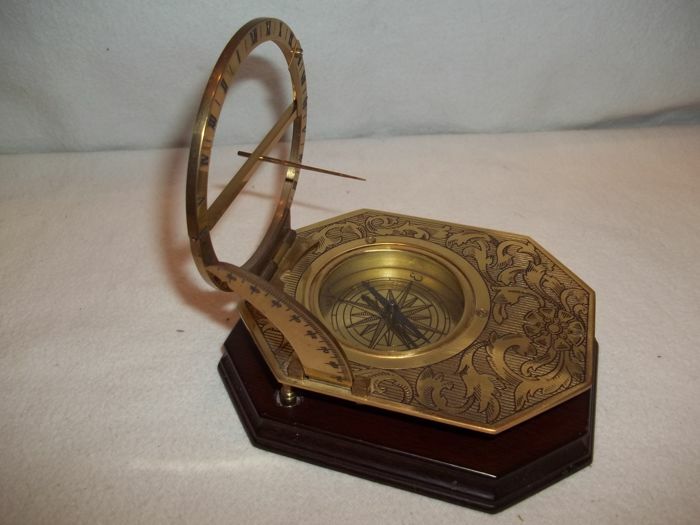 Beautiful 24 karat gold plated measuring instrument called "Universal Sundial " produced by Franklin Mint . 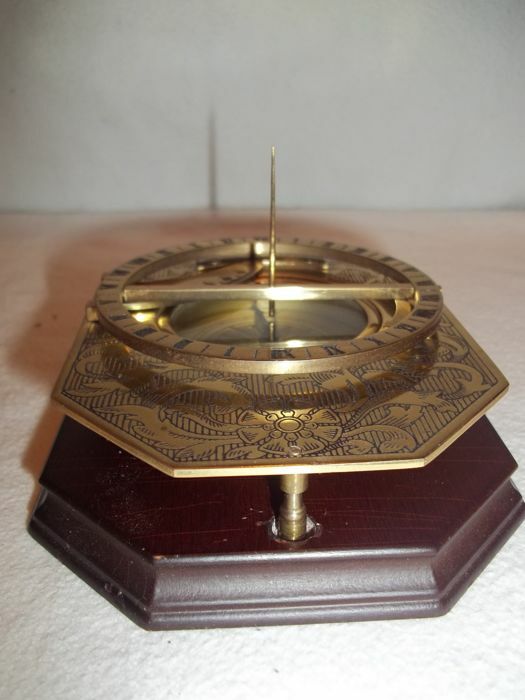 Measuring a very tall 11 cm on a mahogany wooden pedestal. 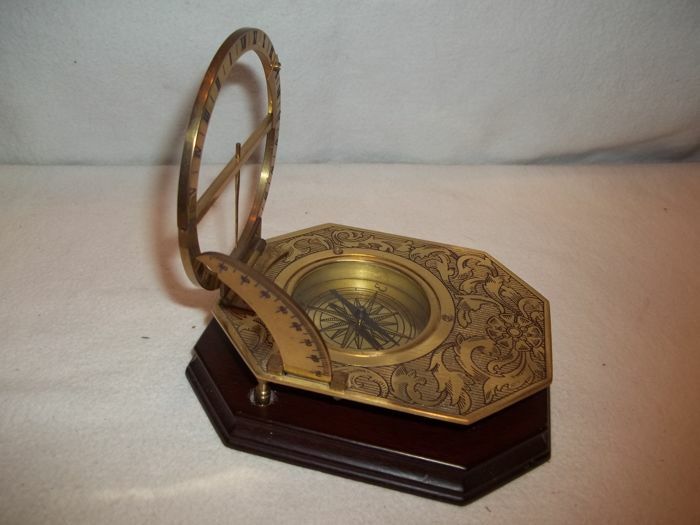 Pedestal measures 13 cm x 10.5 cm. 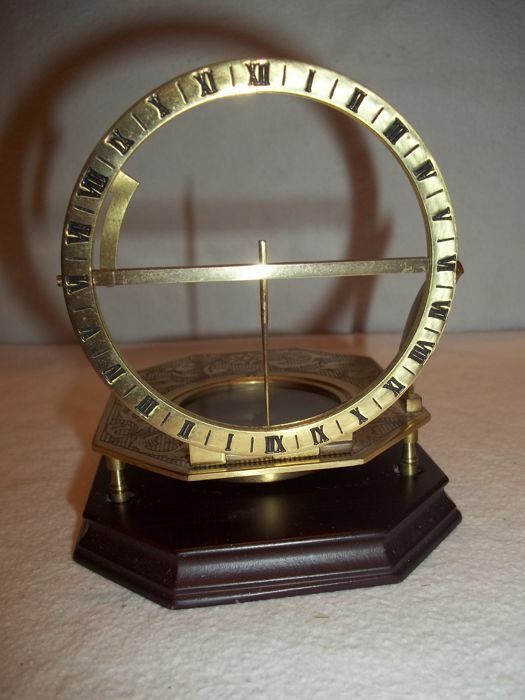 Released in a very exclusive series of measuring instruments. 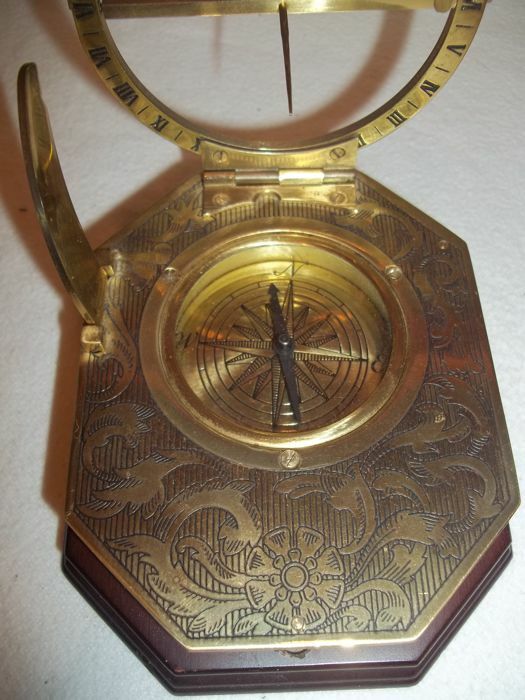 See the pictures for further description. 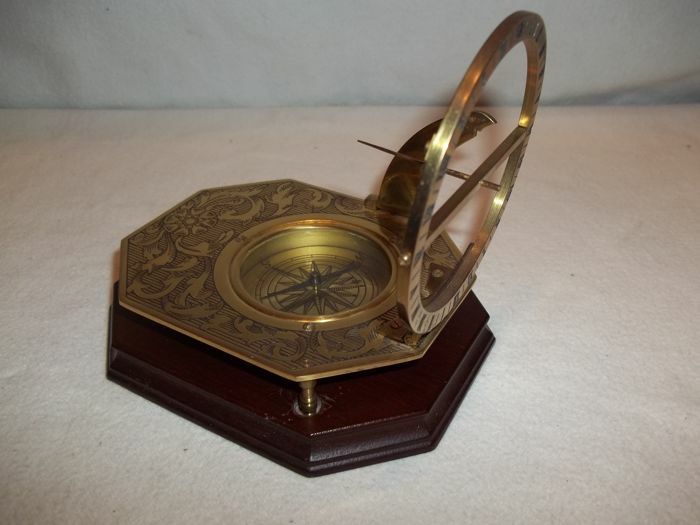 Will be send by registered and insured mail , pick up also possible in Den Bosch , Noord Brabant.